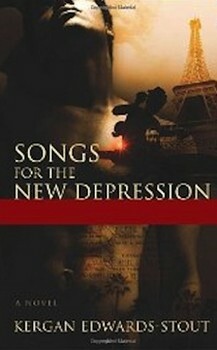 I’m so grateful that my novel Songs for the New Depression has been mentioned on another Best Books of 2012 list! Indie Reviews names their favorite reads of the year, and my book is mentioned, along with others by my pals Drake Braxton (Missing) and Arthur Wooten (Arthur Wooten’s Shorts), and many deserving others. Add this nod to the other Best Books of 2012 mentions at Out in Print, Alfred Lives Here, and Butterfly-O-Meter Books, as well as the Next Generation Indie Book Award for LGBTQ fiction, and I’m slowly realizing that 2012 was a really incredible year. Things like this only happen when we follow our dreams! Here’s wishing everyone a 2013 filled with love, happiness, and joy.